Anticipating a construction boom across the street, the adaptive reuse project is racing toward a summer completion date. While the proposed Lincoln Yards mega development is still being tweaked and debated, a handful of modestly-sized projects are already making early moves to the city’s evolving North Branch Corridor. One such development is the Lofts at Southport which is in the process of turning a 100-year-old former factory building into offices and apartments. First proposed as purely office space by a different developer, the site and its new owners—a joint venture between Iowa-based Heart of America Group and local developers Jon Morgan and Matt Ferrino—will add a residential component to the old four-story masonry structure at 2071 N. Southport Avenue. The change was made possible by a massive rezoning of the North Branch Corridor in 2017. The renovation, led by construction company Mavrek and designed by GREC Architects, will convert the first two levels into 38,000 square feet of loft-style office space and the upper two floors to 56 rental apartments. 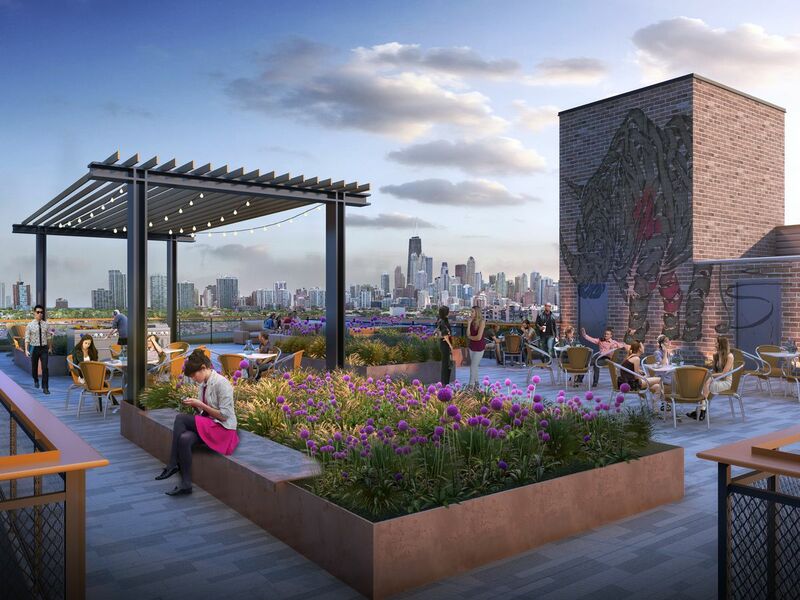 The residences will have an “industrial look” and access to the a rooftop deck with views of the Chicago skyline, said Morgan. Interior demolition of the existing building is currently underway. Morgan expects the office portion of the project to be completed in June 2019 with the apartments above opening shortly thereafter. 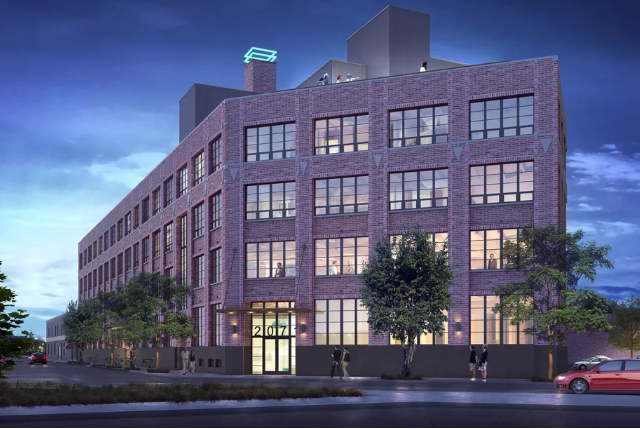 The Lofts at Southport may seem tiny next to the 12 million square feet developer Sterling Bay intends to build across the street at Lincoln Yards. 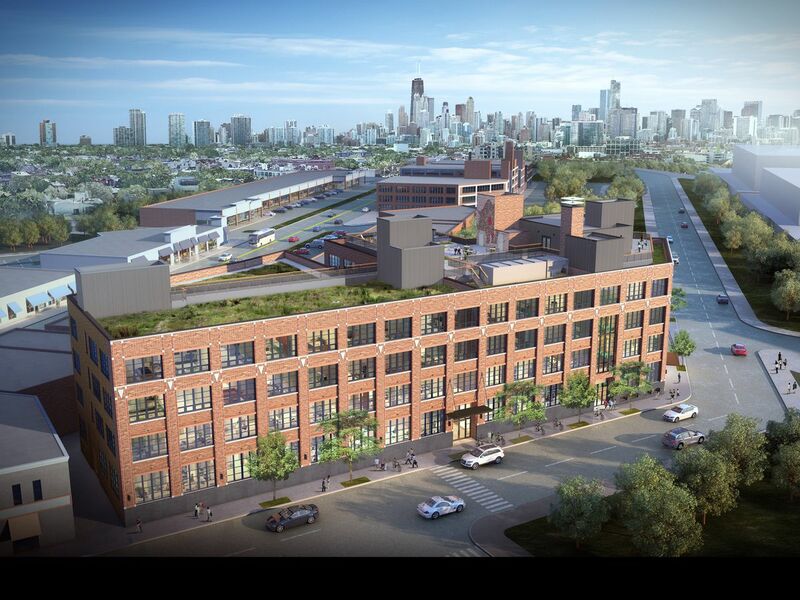 That being said, the adaptive reuse project with its authentic industrial architecture will serve as a welcome visual break from the dozens of steel and glass towers that are inevitably headed to Chicago’s North Branch Corridor.